"How do I get rid of flyaway hairs?" Have you ever seemed like you were having the perfect hair day except for one or two flyaway hairs that insist on doing their own thing? Well I'm here to tell you 4 simple ways to get rid of those flyaway hairs WITHOUT pulling them out! There are three products you can use, and the last one is a specific function you can use on a hair tool. Let's get started! Leave-In Conditioner- Many leave-in conditioners will help you to prevent having flyaway hairs. Particularly the Leave-In Conditioner from the Silk Hydration by L. Jones line has ingredients that help prevent the flyaway hair from even happening in the first place. It comes in a spray bottle so that you can apply it generously if you are prone to having lots of flyaways. Shine sprays- Depending on the ingredients in the shine spray, they can be very effective in getting rid of flyaways. I recommend Miracle Potion no9 in the Silk Hydration by L. Jones line because it is so concentrated that you only need a small amount of it to be effective. One spray will eliminate fly away hairs. Oil serums- Light oil serum is another product that is highly effective in controlling flyaway hair. And again, only a little goes a long way. Another product that is in the Silk Hydration line is the Silky Serum Oil. This is a little heavier than the Miracle Potion no9 but is just as effective. It comes in a pump bottle so all you need is one pump rubbed in your hands, which are in turn are rubbed in your hair to magically make your flyaway hair disappear! The last thing I would recommend for flyaway hair is not a product, but actually a hair tool. The Primo flat iron by Toi by L. Jones has a function on it called ion. When this function is turned on it actually gets rid of flyaway hair. So there you have it, 4 simple ways to get rid of flyaway hair. 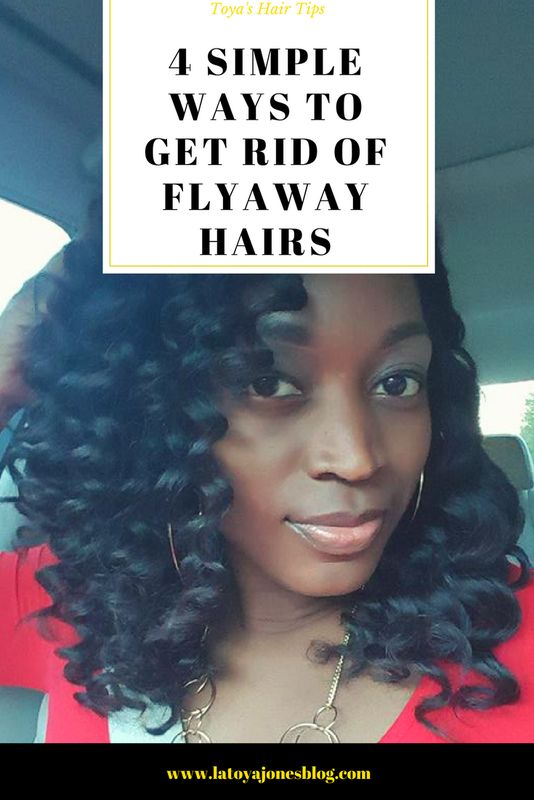 I hope this helps you to never have another issue with flyaway hair. And if you do, now you know how to get rid of it!